Florence is a wildly popular city among tourists and Italians alike. However, its small size and walkability make it seem like more like an urban Tuscan village. You can walk almost anywhere in Florence in 20 minutes or less. 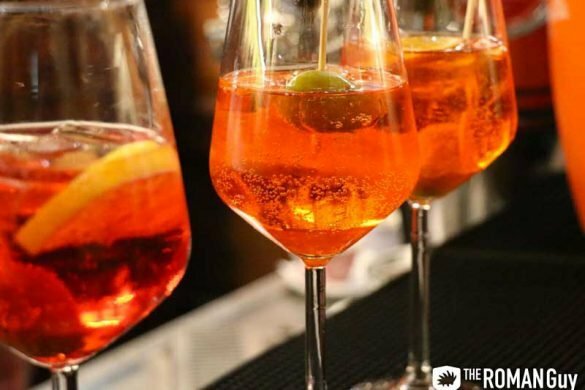 Sometimes though, where you stay dictates what restaurants you eat at, the piazzas you enjoy aperitivo in, or simply the type of getaway you have. Here’s our guide about where to stay in Florence, with ideas for all travel budgets from budget-friendly to the ultra-luxury. 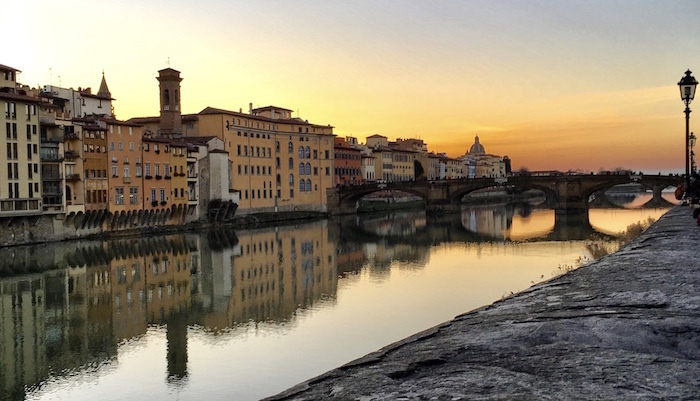 While you figure out where to stay in Florence, why not think about what to do there as well? 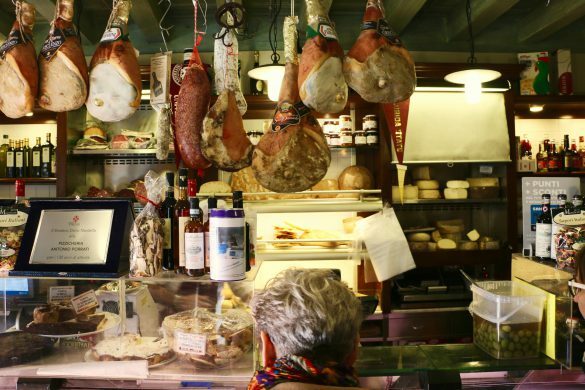 We lead several types of Florence tours, including small group and private Uffizi Gallery tours, walking tours and even a Florence food tour with Florentine steak and wine tasting. This is where to stay in Florence on a budget. On the cheaper end of this spectrum are hostels with private rooms. For a highly-reviewed and budget-friendly option, consider the Plus Hostel. Not only does it include a restaurant-bar and laundry facilities, but it even has a swimming pool! If the lure of a free breakfast is enticing, check out the Archi Rossi Hostel. Located right by the train station, this Florence hostel also features free wifi. Depending on your preferences, there are both classic hostel dormitories and private rooms available. For a step up in terms of comfort and price, you can look into bed & breakfasts. This way, your bedroom and first meal are combined into a single price tag, making it easier to budget. The best area to stay in Florence for affordable hotels and bed and breakfasts is near the Duomo and north of it, near Piazza San Marco. One particularly lovely B&B in Florence is Casa Rovai. 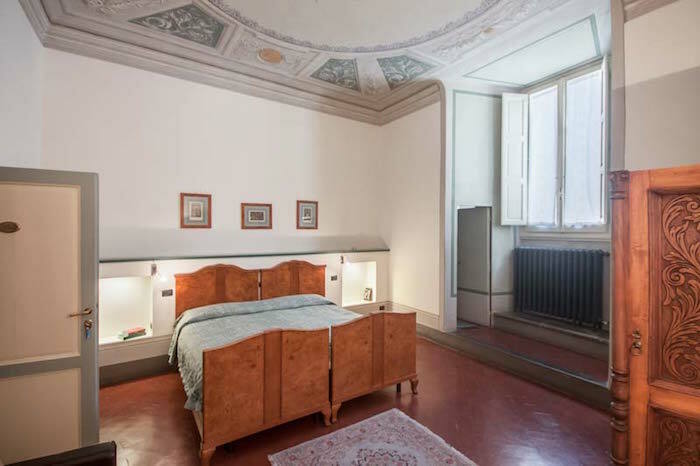 This charming B&B is only a five minute walk from the Duomo and just a few minutes from the Basilica di Santa Croce. Casa Rovai has both Renaissance-style and modern rooms, all with private bathrooms, air conditioning and televisions. The Renaissance rooms all have beautiful frescoes on the walls, dating back to the 16th-18th century. What more could you want? A great alternative to a traditional hotel is staying in a full apartment, which you can rent using Airbnb or The Plum Guide. These types of accommodations often have kitchens, laundry rooms and generally more space. If you’re visiting Florence with kids, this is a fantastic option. 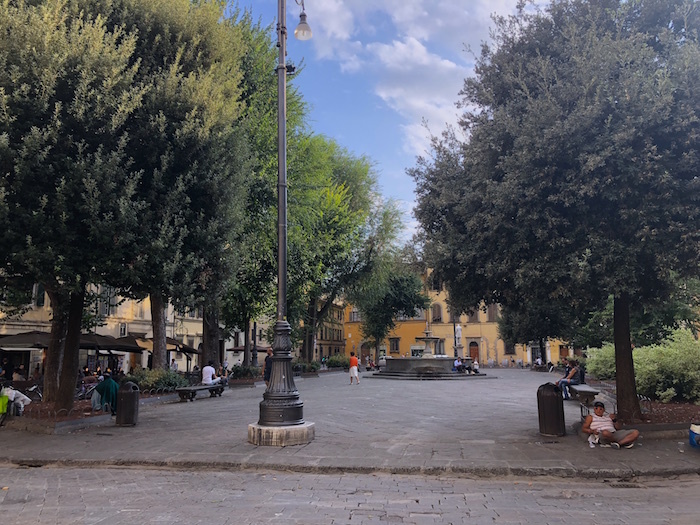 Figuring out where to stay in Florence with family is a challenge sometimes, given that the needs of young kids are different than adults traveling alone or together. In a short-term apartment, you have access to all the things you need to maintain some semblance of a normal routine. It’s also a smart move if you’re traveling with a group of friends and you all want to stay together. There’s a wide range of accommodations on Airbnb, and some are quite luxurious! When booking an apartment, take into account its location by looking at a Florence neighborhood map. If you’re traveling with children, you may want to stay closer to the city center so that walking home for an afternoon nap won’t be too long of a commute. You may notice cheaper options a little farther from the Duomo, but since hailing a cab isn’t allowed in Florence, it’s best to just be in the center of the action so yo can walk everywhere. You’ll have a more relaxed and unhurried experience this way. 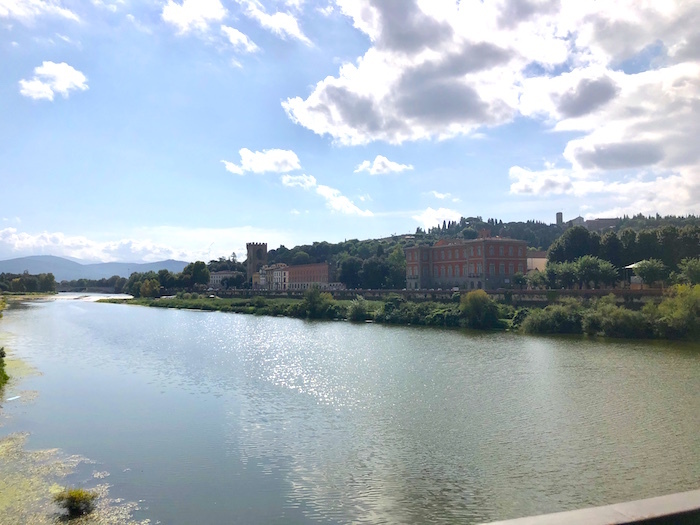 You can find charming boutique hotels on the Oltrarno, classically known as “the other side of the river.” You’ll have to cross the river to access the Duomo and other main Florence attractions, but again, Florence is small and walkable. This side of the river is perfect for the more relaxed traveler. Consider the David Hotel if this sounds right up your alley. 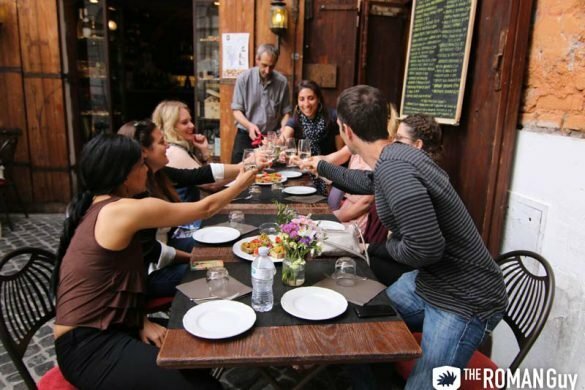 If you decide to stay across the river, you can do a Florence tour in the morning and unwind in a local piazza (away from the touristy areas of town) with a glass of wine in the afternoon. If the main area of Florence is more your style, look into staying in Piazza Santa Maria Novella or Piazza Santa Croce. Both piazzas are home to beautiful Florentine churches which house iconic Renaissance artwork. Grand Hotel Minerva is a great option in Piazza Santa Maria Novella. Overlooking the beautiful piazza and a short walk to the main train station, this posh hotel comes at a great price, while still offering the amenities of an ultra-luxury dig. In general, the most luxurious hotels in Florence sit directly on the Arno river. Many rooms offer beautiful balconies that look out onto the water, so you can enjoy the Florence sunshine from the moment you wake up. If you’re dreaming of the Italian vacation of a lifetime, consider using the dedicated luxury trip planners at Finelli & Shaw. This way, every detail of your dream travel itinerary is handled by Italy experts. All you have to do is arrange your flight for the trip of a lifetime in the Bel Paese. If you have an extremely flexible budget and you want the best of the best, consider the Hotel St. Regis. 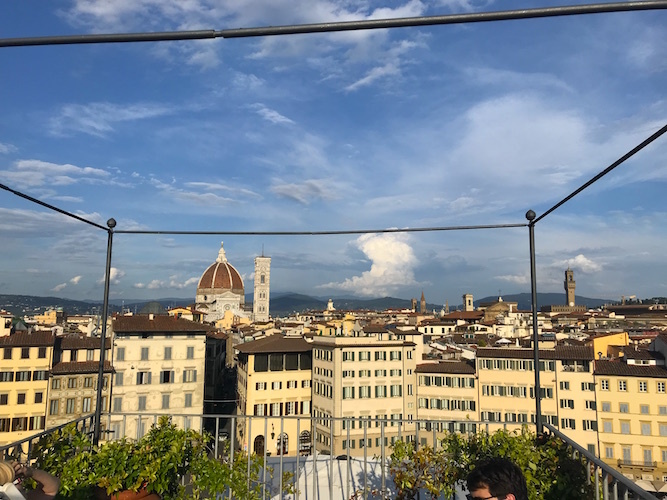 Featuring outstanding views of all the best attractions in Florence, this hotel is set in a historical building designed by none other than Filippo Brunelleschi. You know, the same guy who designed the famous dome on the Santa Maria del Fiore Cathedral. This five star hotel also boasts a Michelin-starred restaurant, spa and marble bathrooms.